Women of the world, unite! If there is one thing makeup junkies, world class travelers and everyday day tacklers all have is common, it’s the need for a space that is efficient, versatile, and cute enough to hold our favorite beauty goodies! 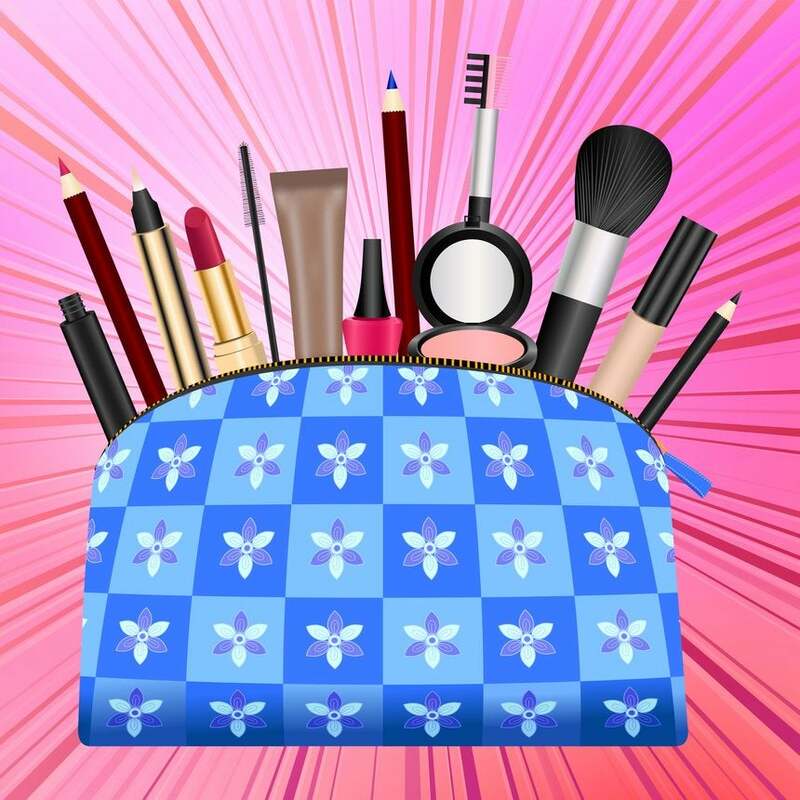 A makeup bag is a woman’s on-the-go best friend. And it either stores your essentials like a wonder or leaves you digging into a bottomless hole of lipsticks, liner, and other scraps of overused product. 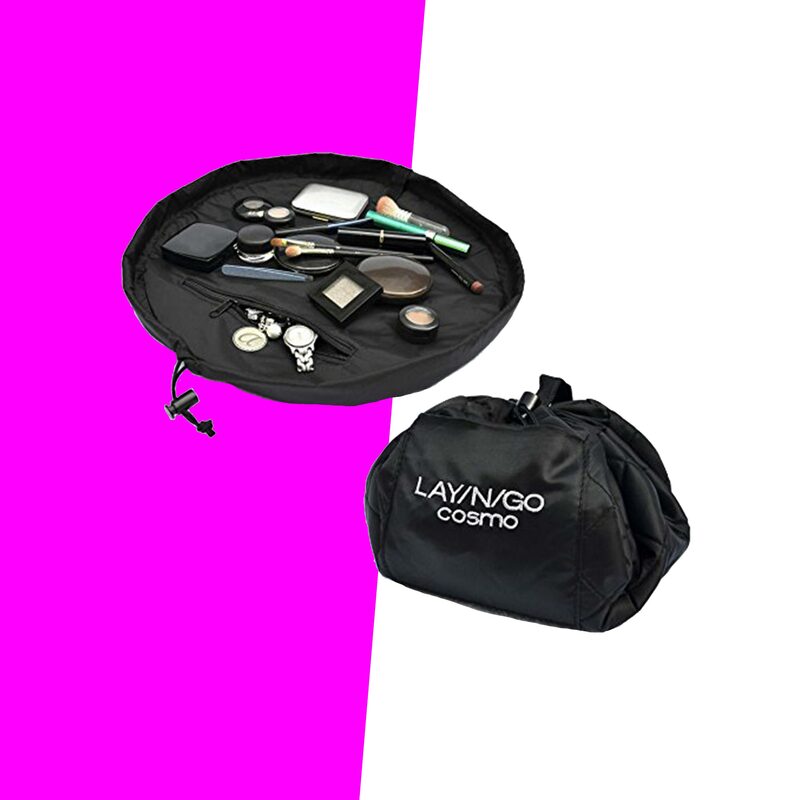 Ditch the hassle of sifting through your cosmetics once and for all and be prepared for wherever life takes you with a bag that can hold all your extra knick-knacks. Here’s to organizing your cosmetics like a boss, and being ready for your next big adventure. 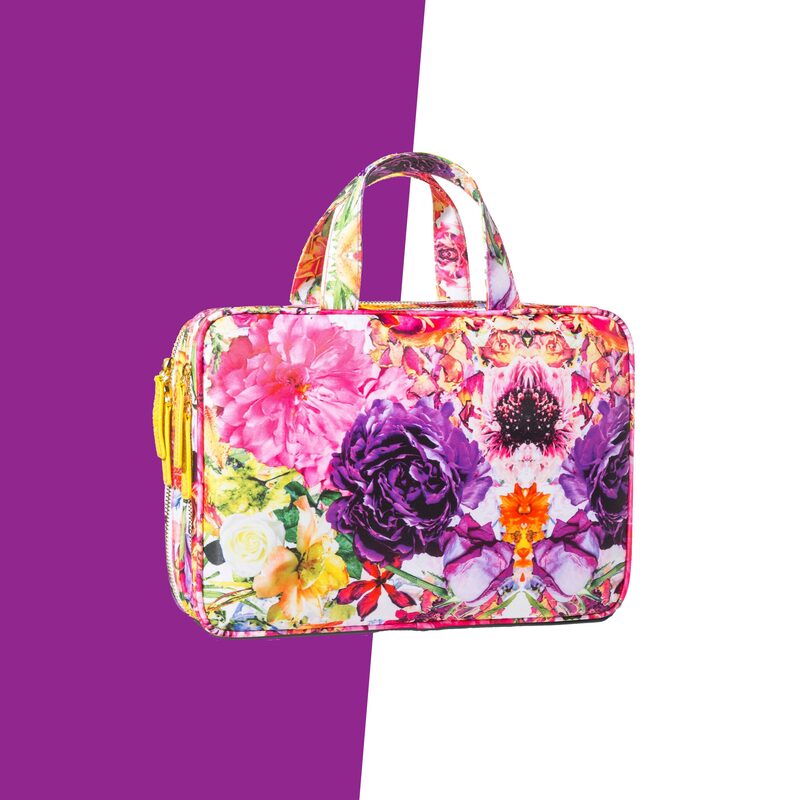 Check out the best travel bags and start storing some of your most prized beauty possessions with a little more snazz! These quaint and cute Izzy and Liv cosmetic bags will be your new favorite thing and deliver brown girl inspiration, all at the same time! 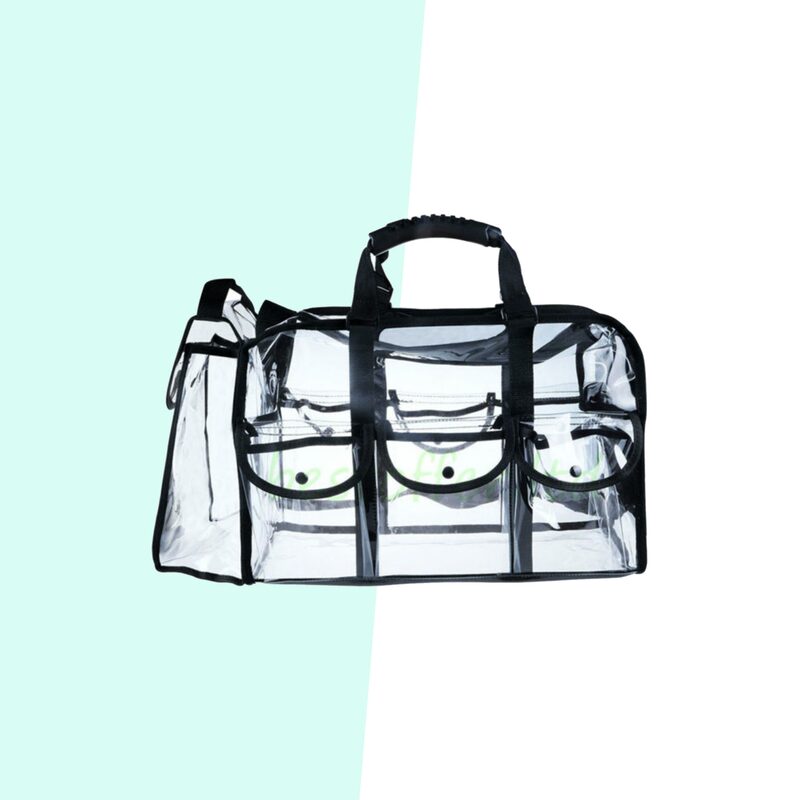 This cosmetic bag has hidden compartments, so you can squeeze in all those extra lipsticks. 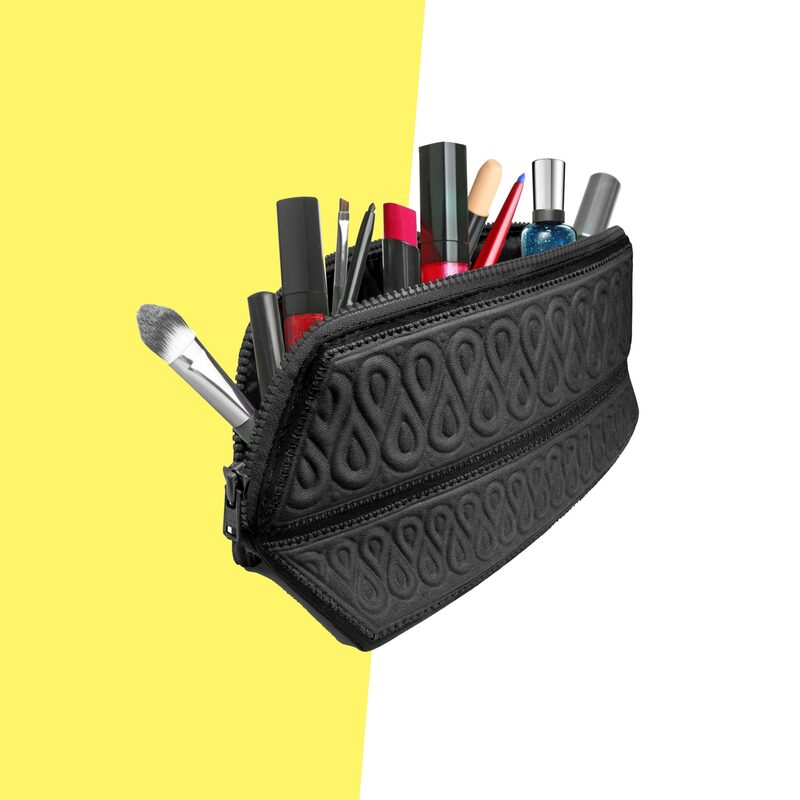 Organize your cosmetics like pro with this foldable “valet” cosmetic bag, made with separated inside pockets and a mirror. 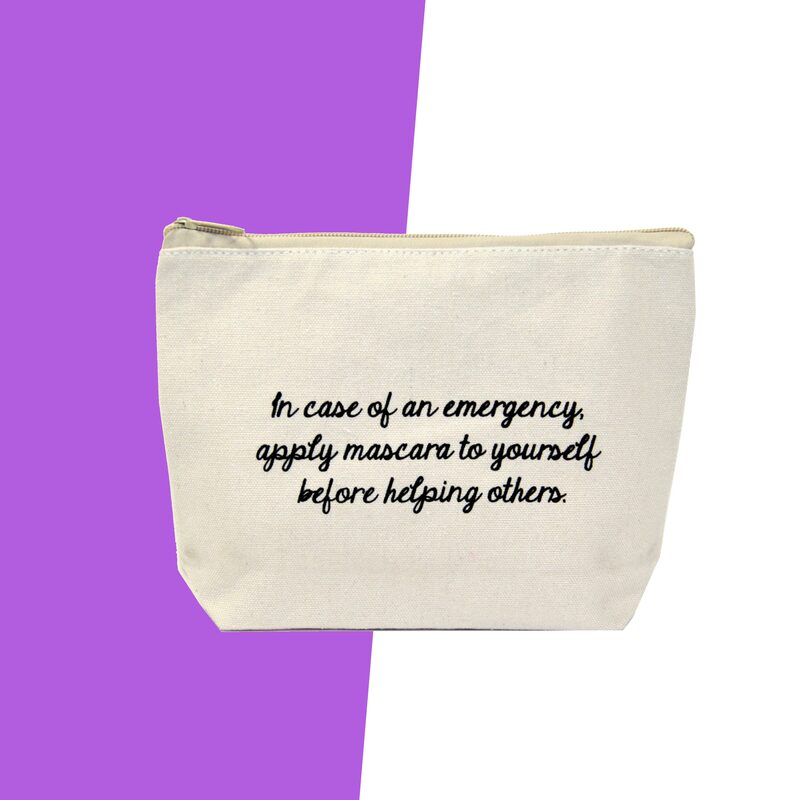 This makeup bag has an inner pocket for extra goodies and funny message for when you’re in a glam jam! 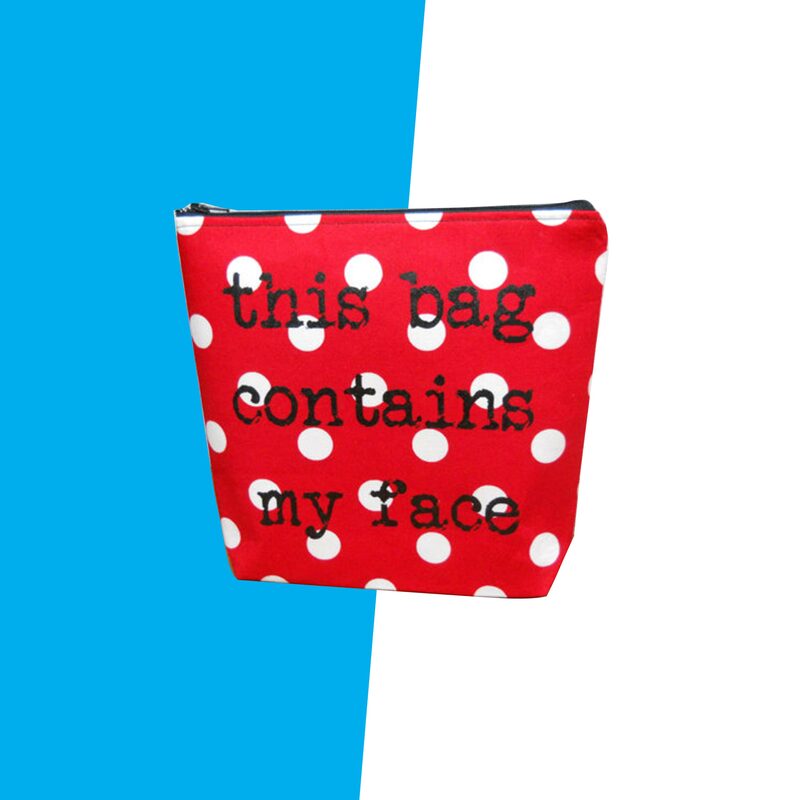 At 8 inches tall, and 9 inches wide, you can literally carry your “full face” in this bag! Lay it all out, so you can see what you're working with, then fold it all back in when you're done. Expecting a extended stay at your next hotel, but don’t want to bother with unpacking all your toiletries? 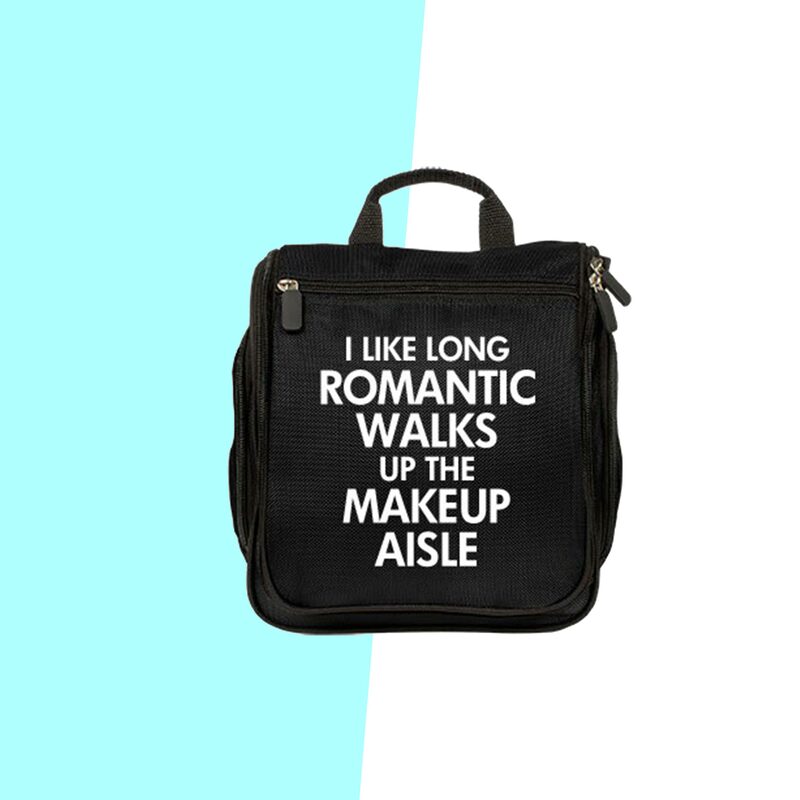 Invest in a fold-out hanging makeup bag with a fun slogan! 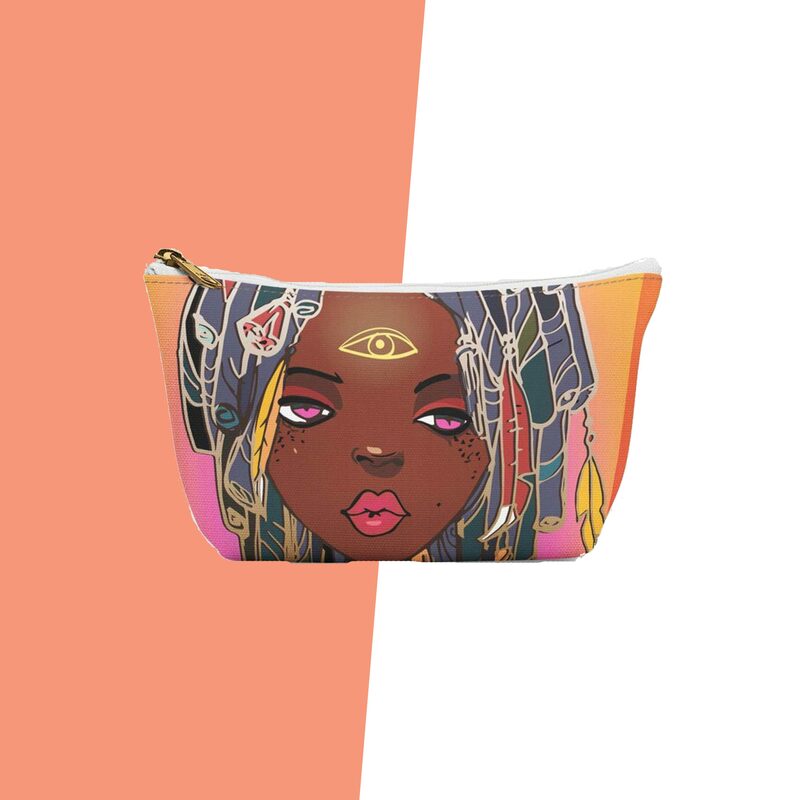 Sonia Kashuk’s cosmetic bags aren't just super affordable and cute. They also include clear inside pockets so you can see what you're grabbing. Talk about a time saver! 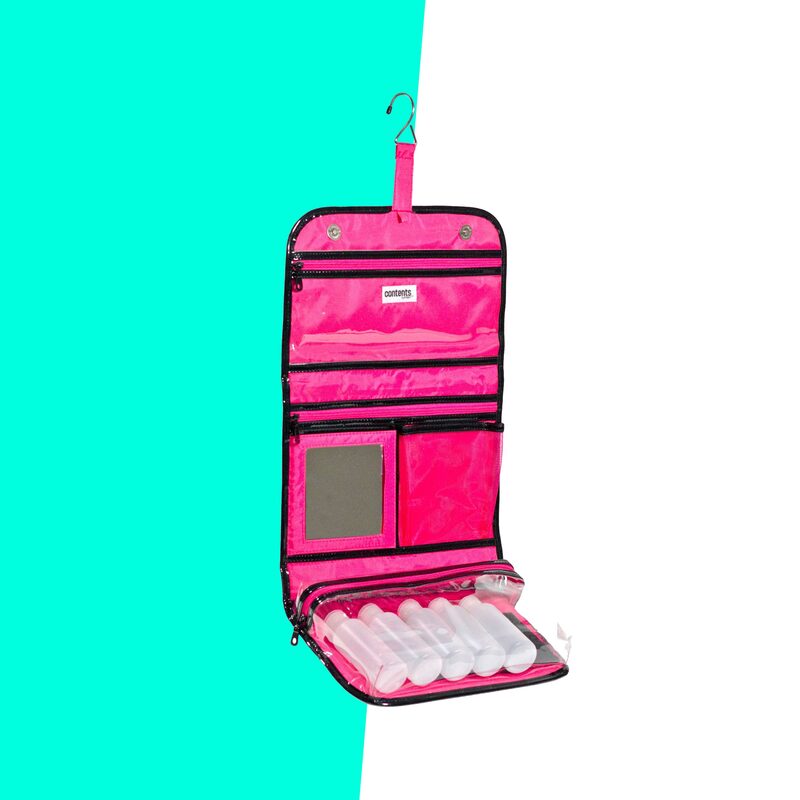 This waterproof, clear cosmetic shoulder organizer will be your new poolside companion. Bid on this mini weekender travel case, because you can store all your toiletries on one side, and your cosmetics on the other during your next big vacation. What could be better than that? 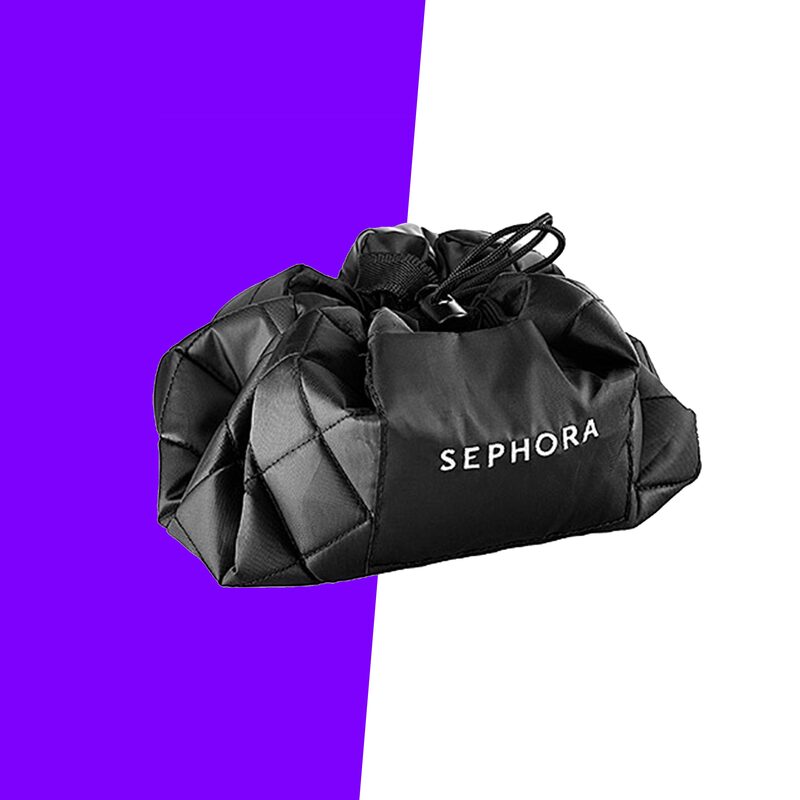 Pull it together like a boss, with this versatile travel bag from Sephora!